Encountering a roadblock in the narrow streets of old Delhi can be a nightmare. You cannot reverse your car, you cannot move it ahead, and you cannot turn it around. Except, if you are in a car that has a turning radius of just 4 metres, and that turns others on with its new looks. Welcome to the new Tata Nano Twist. Promoted as a value car, it is precisely this thing that worked against the Nano ever since it was launched in 2009. Two-wheeler owners, who aspired to own a car and raised enough money to buy a Nano, usually reconsidered their decision, waited a bit, raised more money and bought an Alto instead. The good thing is that, with the Twist, Tata is now aiming to reposition the Nano not as a value car but rather a fashionable and urban youth mobile. The Nano remains a cute-looking car, no doubt about it. So it’s perhaps a good thing that the Nano Twist doesn’t get any major changes to the exterior. You should go and check out the new purple colour, though, which looks cool. Although alloy wheels are not a standard fitment on any of the Nano variants, these are available as accessories at Tata dealers and can be considered. There are subtle and smart changes in the cabin. First, you get keyless entry. Then there are twin gloveboxes on the dashboard—one is inconveniently placed between the steering wheel and the windshield but is nevertheless useful. The audio system now comes with Bluetooth connectivity and the speakers are among the best in class. The positioning of the steering wheel, though, can be an issue with tall drivers—what makes things slightly uncomfortable is that the steering wheel is not adjustable. You also get a revised gearshift console and the front power window buttons aresituated right behind the gear lever. If you overlook the boot space for a while, the Nano Twist offers the maximum amount of space in its class and even four tall people can very easily fit inside the smallest production car in India. (A small luggage space of 80 litres is provided in the Nano behind the rear seat.) The fabrics and overall fit and finish, though, still reflect that even this finest Nano has been build to a price. The centrally-located information cluster looks fresh—you get a digital clock, fuel and engine temperature gauges and a distance-to-empty display. The Nano Twist gets the Electric Power Assisted Steering (EPAS), which has been developed by ZF Lenksysteme—a German automotive company that is one of the world’s best in the field of steering systems. This EPAS comes equipped with the ‘active return’ feature. What it does is pulls the steering wheel back to the centre position on its own every time you turn the steering wheel—needed because the front axle is not heavy enough to help return the steering wheel to central position naturally. This is especially useful while taking a U-turn—the driver has to make considerably lesser effort to get the car pointing straight after the turn. The best thing is that the ‘active return’ doesn’t feel ‘forced’—it seems the front wheels are naturally taking their straight position. In no other car could the addition of a power steering be as path-breaking as it is in the Nano. And to feel the difference, you don’t really need to drive the car. Just fire the engine, and you can rotate the steering wheel from lock to lock even when the car is stationary by just using your index finger—after all, the Nano, at 660 kg, is quite a light car. On the move, the steering gets even lighter, yet provides a reasonably good feedback. Parking, as expected, is a breeze. The two-cylinder, 624cc petrol engine produces a maximum power of 38PS@5500rpm and a torque of 51Nm@4000rpm. Mated to a four-speed gearbox, the engine tops out at 105 kmph and takes about 30 seconds to reach that speed. Although these power and torque figures are good enough for this 660 kg car and within city limits you don’t really feel the need for more grunt from the engine, there are instances when you realise the lack of power. For example, if you are driving up a flyover in fourth gear with four people sitting in the car, you may need to downshift to third so as to maintain the speed. The Nano Twist comes with four drum brakes on all wheels. While regular braking is decent, under emergency braking conditions the car gets a bit sloppy. Here, I guess, small tyres are to blame—wider tyres may help shorten the car’s stopping distance. The AC works well in the Nano Twist but to really cool the interiors you have to run the AC at full speed, and that makes the cabin noisy. Insulation still remains an issue and a lot of engine noise seeps into the cabin. The best thing about the car is that its ARAI-certified mileage is 25.4 kmpl and we got 20 kmpl in city driving conditions. But because you get only a 15-litre fuel tank, the range is limited (less than 300 km on a full tank). Since it was launched in 2009, the Nano has been receiving regular updates. The first major upgrade happened a couple of years ago when it got improved seats, better suspension and a more powerful engine. 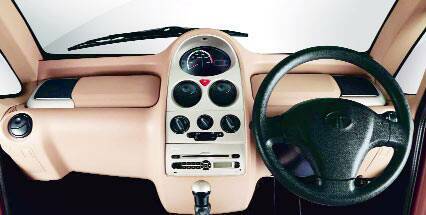 Then, the Nano got beige interiors. Later, it got a slightly bigger steering wheel that, to an extent, helped offset the lack of power steering. Now, the Twist. These regular updates have gradually made the car better and have not pushed up the price massively. 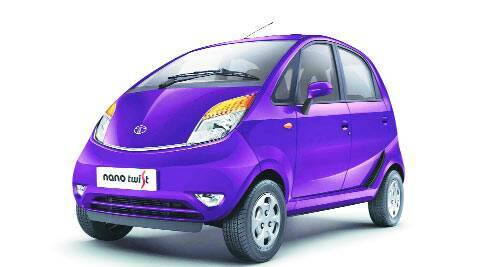 The Nano is yet not perfect, but the Twist is the best thing to have happened to the Nano in today’s times. It is one more step towards the final evolution of the Nano. At Rs 2.31 lakh (ex-showroom, Delhi), the Nano Twist seems even better value for money than the original Rs 1 lakh Nano.